Many of the people who suffer from narcissistic abuse (a form of psychological and emotional abuse) aren’t even aware that what they're experiencing is a legitimate form of abuse because it’s so difficult to put the finger on. 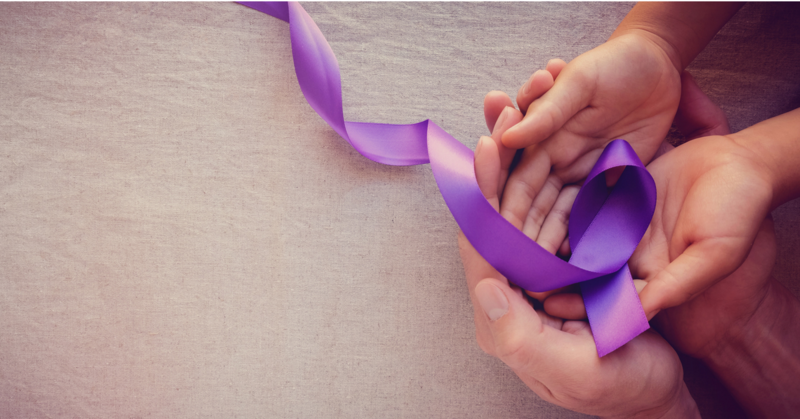 158 million people are negatively affected by narcissistic abuse in the U.S. I just wanted to say that I really enjoyed the telesummit interviews. I learned a lot, and I found the information to cover a broader range of topics and go more in depth than what I can usually find online relating to narcissistic abuse. Keep up the great work and I hope we can bring more and more awareness, I feel it is badly needed. Thank-you again. Keep up the great work. 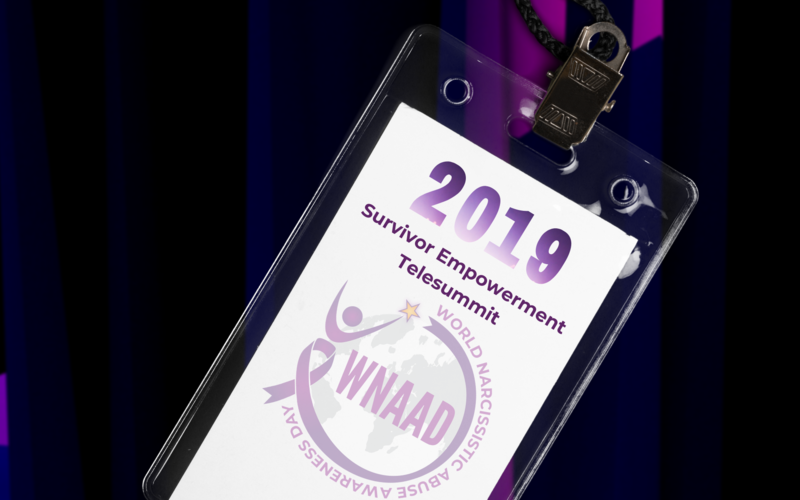 It was so incredibly empowering and answered a lot of questions, reaffirmed what i understand the ex narcopath husband to be and I really appreciate both you Bree Bonchay and Athena for making this telesummit happen. I now have the power of knowledge to continue my true healing path with many resources to access. I feel so much more confident, inspired and know that I can fully heal just like many have before me. This is my journey now, to focus on me, to get well and healthy so I can support others that are experiencing their trauma of abuse! I am no longer alone. I cannot thank you enough for this wonderful summit. Such amazing participants. Sharing their own experiences gave so much impact to the advice and wisdom they imparted. If only I had this knowledge when going through my divorce four years ago - how different things could have been. H.G. Tudor's interview was spine-chilling but he made sense of the horrors I went through, if ever I had confirmation the ex was a narcissist HG validated this. Finally, I could let go of the self-blame I have been carrying for way too many years. Finally, I understood the many conundrums that warped my mind. 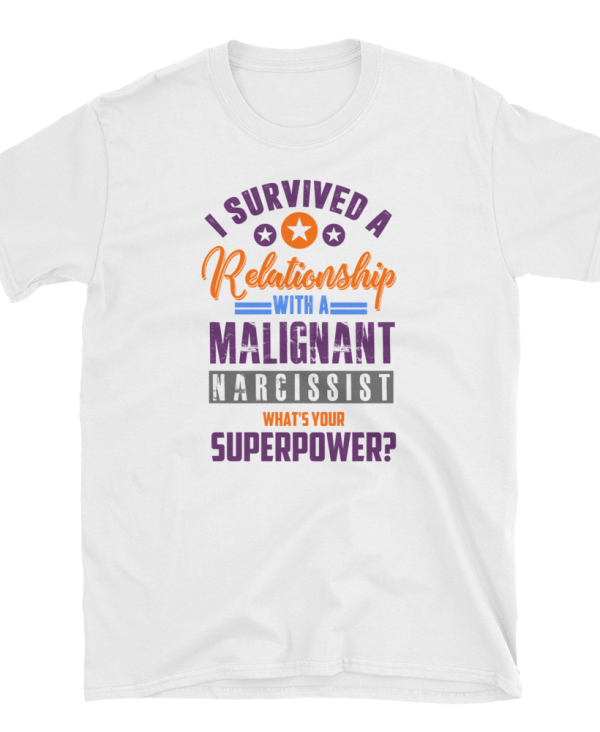 Each and every interview was so insightful, so nurturing in content and just knowing every interviewee had been there, done it, got the T-Shirt and survived was uplifting and that gives me hope that I too will overcome. Hello everyone, I just wanna send a great thank-you to Bree and Athena and all the participants of WNAAD 2018. The interviews have been full of worthwhile and new information and perspectives for me. You all are doing a great and important job. For me, this type of educational work was literally a life-saver. Take care and all the best. 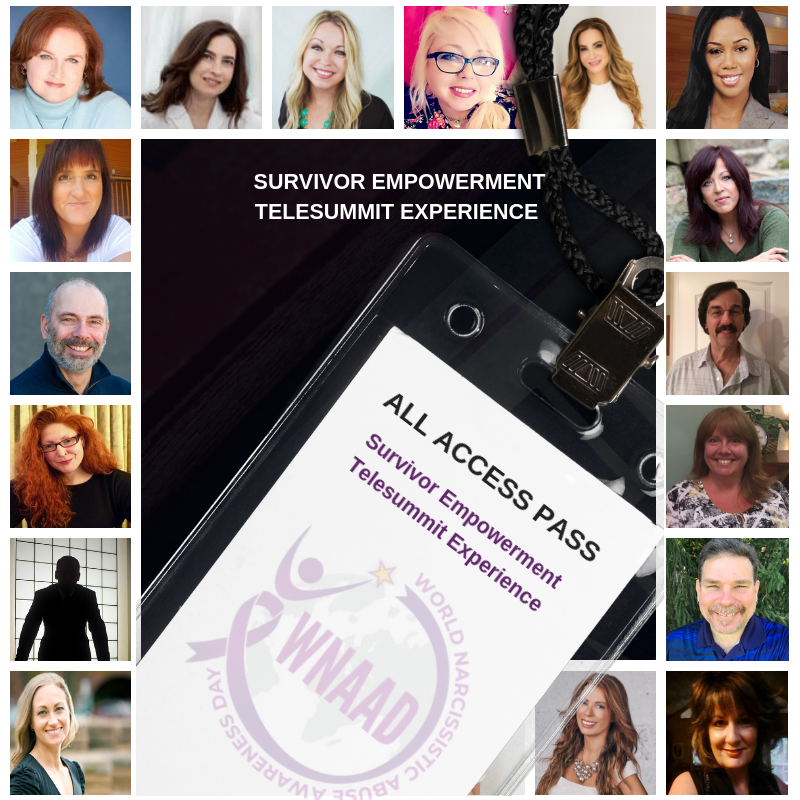 Upgrade to ALL ACCESS PASS Telesummit Experience Now to Receive Access To ALL the 2018 & 2017 Interviews. Includes Complete Written 2018 Transcripts in PDF Format, And Amazing Bonus Gifts! 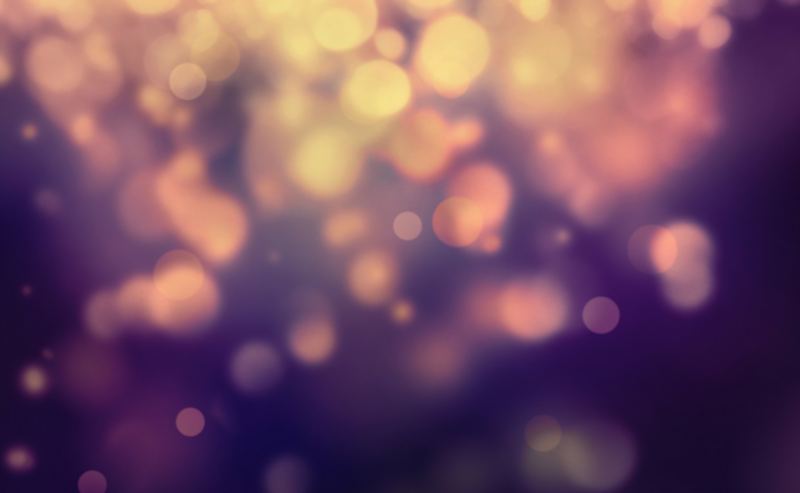 Check out our new Spotlight section where we feature people who are raising awareness about narcissistic abuse. 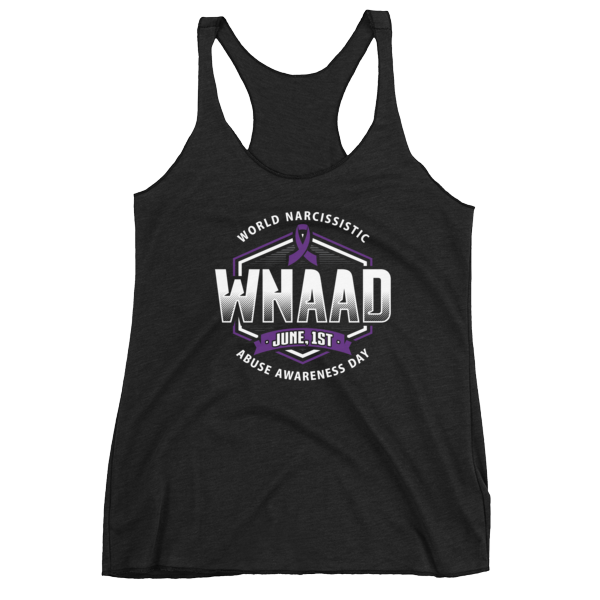 Get your awareness apparel and help raise awareness and support WNAAD!!!! !